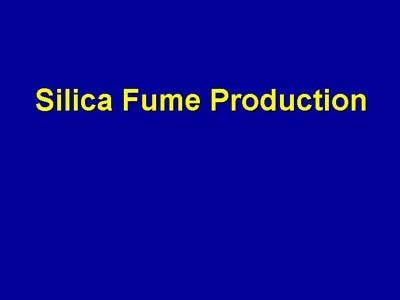 This section of the presentation describes the production of silica fume at a smelter. The raw materials going into the furnace, the electric-arc furnace, and the smoke collection system are shown. Finally, the uses of the metal produced in the process are given.